This summer several WHSAD students participated as interns at Groundswell working on a mural about the water supply in NY. Here is a report from Tanay Warerkar of the Greenpoint Gazette. 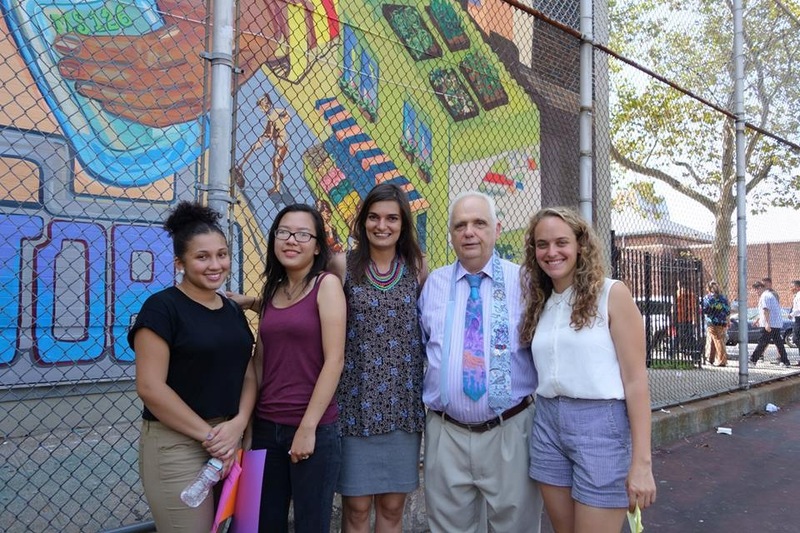 On Tuesday, the efforts of students and artists working as part of Groundswell’s Summer Leadership Institute were unveiled at John Ericsson Middle School 126. 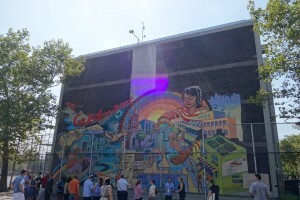 The mural – 30 feet by 60 feet in size, sits on one of the exterior walls of the Magnet School for Environmental Engineering and depicts the neighborhood’s rich history of environmental activism, drawing on familiar images and predicting a bright future.